I can see the winds won't help me... 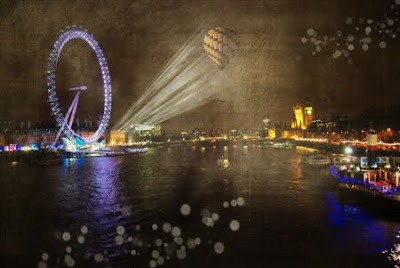 Still above London, I am not far from the Eye, the big wheel which sends all its lights towards me... The capital is full of light , and I can see the Thames and its procession of boats.